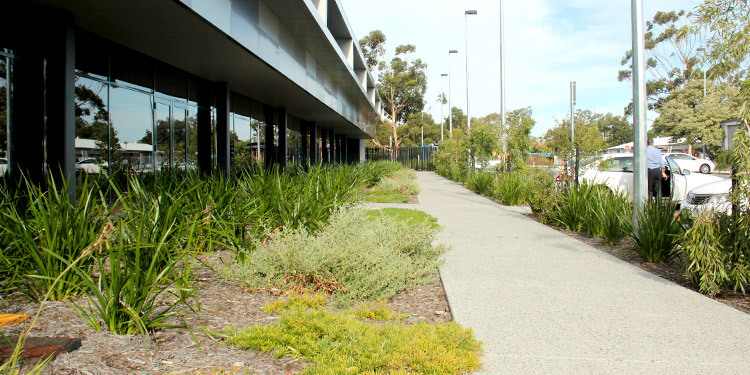 Ecoscape were challenged to create a landscape design for the Water Corporation office in Balcatta to reflect Water Corp's commitment to low water use. What resulted is an efficient, aesthetically pleasing design that uniquely manages and harvests water from the surrounding environment. 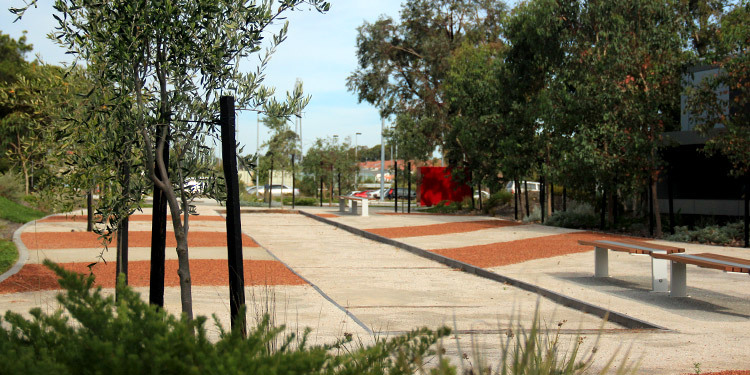 The landscape design aims to provide a pedestrian focused, green interface to the buildings and carparks of the complex. 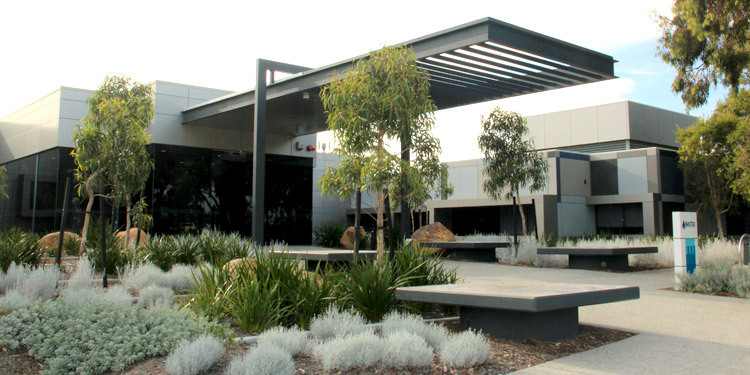 The design embodies the Water Corporation’s commitment to low water use landscapes using innovative water harvesting techniques and provide comfortable outdoor locations that contribute to a healthy and pleasant work environment. A modular ‘pixelated’ landscape surface unifies the external appearance of the proposed building facades with its surrounds. 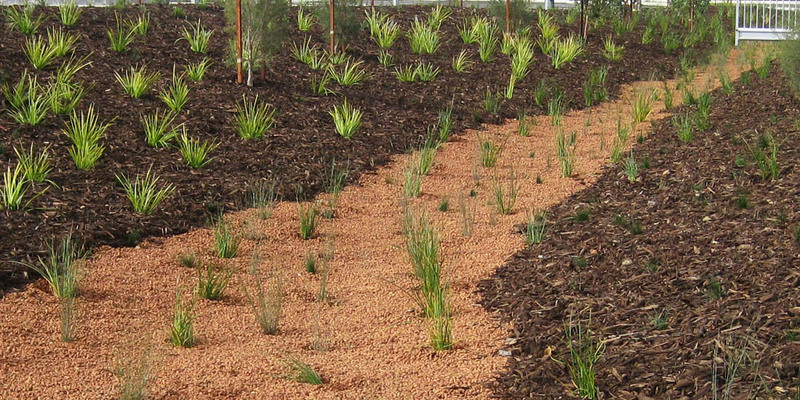 Boundary landscape treatments provide screening and an attractive public interface whilst working with the security requirements of the Class A classified complex. 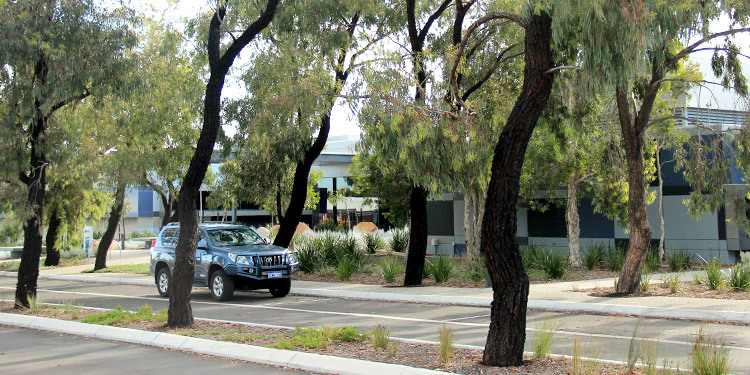 Infiltration zones and planting are incorporated between parking bays and significant existing trees were retained. 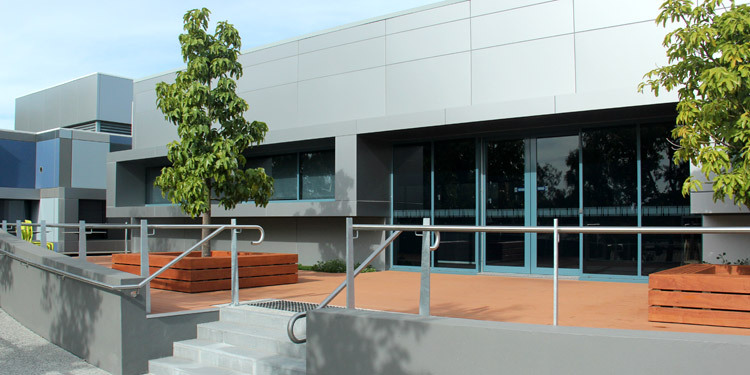 New and existing courtyards provide opportunities for staff to enjoy year-round use. 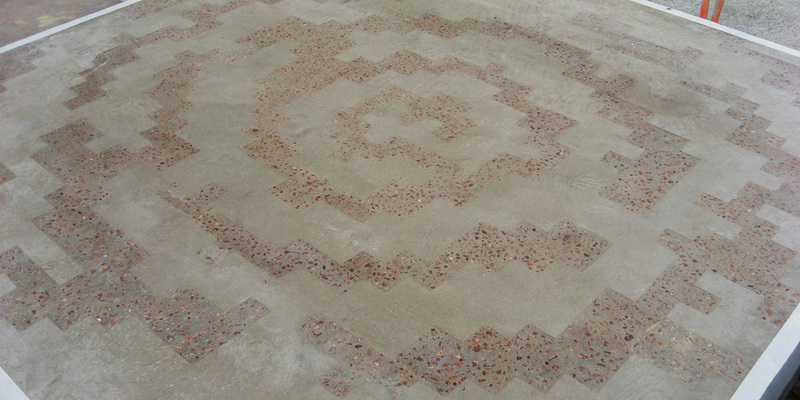 They are closely connected to internal use and promote natural light into the building. Freestanding lightweight shade structures provide shelter and trees provide additional shade. 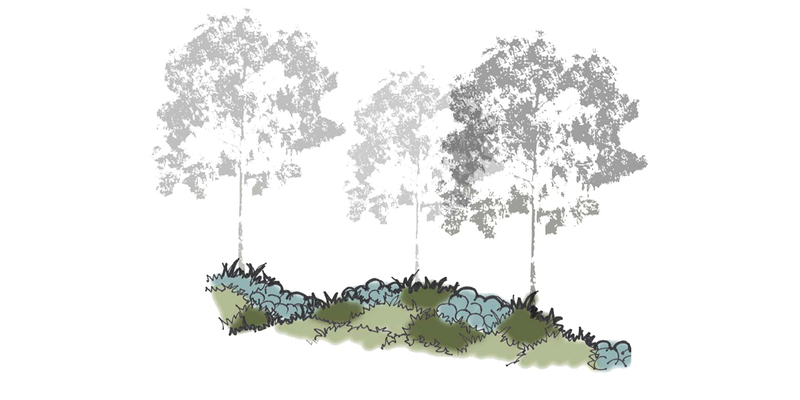 Where possible, water is harvested from the built elements of the complex and used in the landscape. The swales are key elements that take runoff from the car park and buildings. 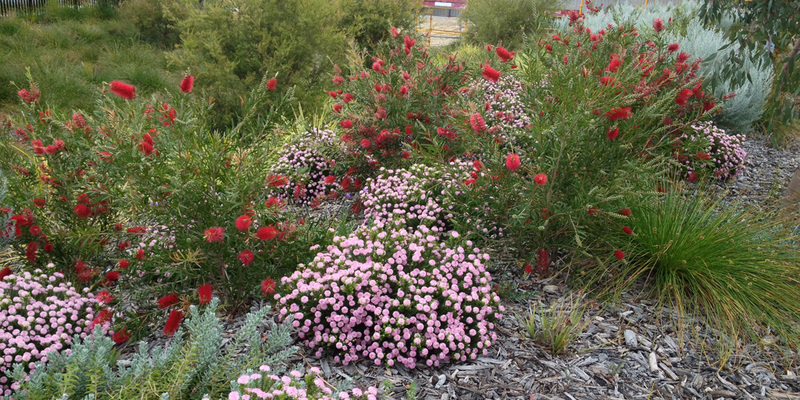 Plantings throughout the site incorporate species from the Karrakatta vegetation complex reinforcing the local character of the site.